“Things are changing but they should have changed years ago,” says Darien Garcia Arco, 26, with his girlfriend, Lisandra. Behind the trade embargo lies a huge and nearly forgotten obstacle: the still-active property claims by American companies. 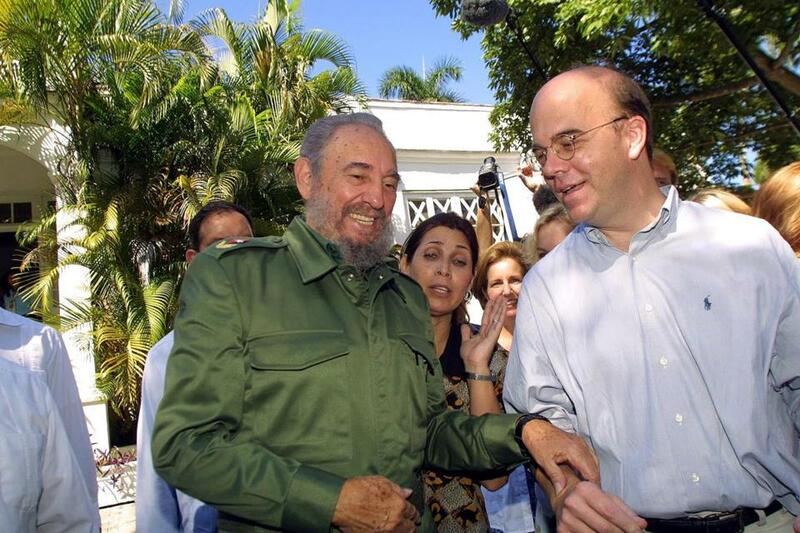 On Nov. 11, 2002, in Havana, Cuban leader Fidel Castro and US Representative James P. McGovern of Massachusetts signed a pact to open the Hemingway archives. Each day, up to 800 Cubans line up seeking various services such as licenses for cultural exchanges, passport services, and other travel documents. That compares with about 100 per day last year, according to US diplomats. US residents are now the second largest group of foreign travelers to Cuba each year, behind Canada, including at least half a million Cuban-Americans last year, who are now allowed to freely travel here under relaxed rules instituted in 2009. Another 100,000 Americans visited as part of educational and cultural exchanges approved by the US State Department. According to a new report by the Havana Consulting Group, more than 173,000 US residents visited the island just between January and March of this year. Meanwhile, studies find that money and goods pumped directly into the Cuban economy by Cuban-Americans — as much as $5 billion in 2012 — now outstrip the country’s four major sectors, including tourism as well as nickel, pharmaceutical, and sugar exports. That is having a major impact on a population of just 11 million people, most of whom barely eke out an existence in the island’s centrally controlled economy. Cuban officials, who agreed to speak to a reporter only if they were not named, denied the common view among Cubans that the government is fearful of renewed ties with its neighbor to the north. The gradual thaw in relations provides some hope for many average Cubans. The country’s economic anemia — the average Cuban earns roughly $17 a month — is evident in daily life, from a crumbling infrastructure that has seen little investment since the 1950s, to shortages of staples such as eggs and meat, which for many Cubans are still rationed. Darien Garcia Arco, 26, an electrical engineer who works for the government, earns the equivalent of about $70 a month. That is more than most Cubans, he points out, allowing him to have his own apartment, a rarity for someone his age. “There have been changes. Now you can buy and sell in a way that you couldn’t before,” Arco said at a small social gathering in a dilapidated high-rise (which, like most buildings, still has a Committee for the Defense of the Revolution post on its ground floor, a mainstay of Cuba’s surviving police state apparatus). The older generation, which appears most committed to the socialist model spearheaded by the Castro brothers, also openly expresses a desire for greater opportunity. Maria Cirules, who fought with some of the leading Marxists who took power in 1959 and is now in her 70s, recounted some of the hard-won achievements of Cuba’s socialist political system: Health care for all. Near-total literacy. No starvation. “That is a conquest for us,” she proudly declared. Yet when asked what her late comrade, socialist visionary Ernesto Che Guevara, might think of modern Cuba’s economic situation, she was just as adamant. There have been a series of reforms instituted since Raul Castro took over as president in 2009 from his ailing brother, who ruled for nearly 50 years. Dozens of private restaurants, known as casa particulares, have appeared in the past few years, usually located in private homes or apartments, an easily visible sign that the government is allowing more of a free-market economy to emerge. A few state enterprises have also been turned into cooperatives. The Cuban government has recently welcomed some foreign investment, including a port project and industrial zone underway on the western part of the island that is financed by Brazilian investors. Also, the parliament is considering a broader foreign investment law. Most striking to longtime observers was the announcement last year that Cubans, who have largely been prisoners in their own country, can apply to travel out of the country. There is also a small but vibrant blogosphere emerging on the government-controlled Internet, including some commentators who are openly critical of the government. One US official who has had a unique viewpoint into the changes is Representative James P. McGovern, a Massachusetts Democrat who has long advocated for normalizing relations. McGovern, who has traveled here more than a dozen times since his first trip in 1979, nevertheless believes the Obama administration, acting independently, can do far more to encourage change here, and he has taken his case directly to Secretary of State John F. Kerry, his former Bay State congressional colleague. “I firmly believe that now is the time to take more significant steps that address our relationship with Cuba,” he said. Among the steps McGovern and his allies in Congress are advocating is permitting US firms to offer goods and services to the privately run businesses and cooperatives and increasing the number of Americans who can apply for a license to travel to Cuba for educational and cultural exchanges. For longtime Cuban officials like Gladys Rodriquez, there remains a deep sense that the road to normalization will require more struggle. 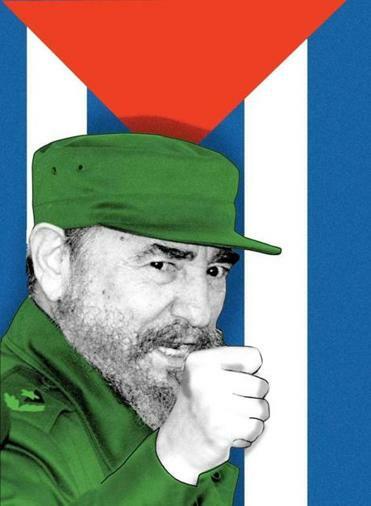 “I will admit that I still believe the day the United States will lift the blockade or embargo is far away,” said Rodriquez, an official at Cuba’s National Council of Heritage. She has worked for more than a decade with Boston-based Finca Vagia Foundation to restore the Cuban legacy of American novelist Ernest Hemingway, a project McGovern helped launch and that, like the broader relationship, has suffered from some fits and start. “But I do have the conviction that sooner or later, the process we are all waiting for shall take place and our two countries will have normal relations,” she said.